You’ve probably heard of this little city called Dalian in China, but if the name doesn’t ring a bell, well here’s something to remember for sure; the city of Dalian registered an impressive GDP increase of 16.5% in 2008. Dalian is an urbanised and industrialised centre of the Liaodong Peninsula. It is bordered to the west by the Yellow Sea and the East by the Bohai Sea. Its harbour entrance from a sub-bay known as the Dalian Bay. It is the second largest city in the Liaoning province, and with its current developments and beautiful coastline, is also fast-becoming an expat destination. The overall climate in the city is monsoon-influenced, which translates to hot,0 humid summers, and dry, cold winters. The best weather during the year is from June to October when the weather is somewhere between summer and autumn. The city of Dalian has a population of 6, 690, 432 million people. It was originally a farming population until it was opened for foreign investment in 1984, which eventually opened the gates to the city's industrialisation. According to the National Bureau of Statistics in China, Dalian's economy ranks eighth in terms of overall strength. It has registered an amazing GDP of 385.8 billion RMB (Chinese Yuan Renminbi). The city's main job industries are agriculture, aquaculture, industry & construction and service industries. Due to the Chinese government declaring the city ‘open' to foreign investments, big players, especially in electronics are found in the city such as Toshiba, Canon, and Sanyo Electric. As far as clothing is concerned, it's best to have cotton shirts and comfortable pants. Make sure the fabric is lightweight as the climate in China is more humid than what you may be used to. Bring also a jacket or two for cold winters in Dalian. If one has certain special medications to take on a daily basis, make sure to stock on those before you leave for Dalian. A dictionary of simple English to Chinese or Chinese to English translations would come in handy, for Dalian is primarily a Mandarin-speaking city. 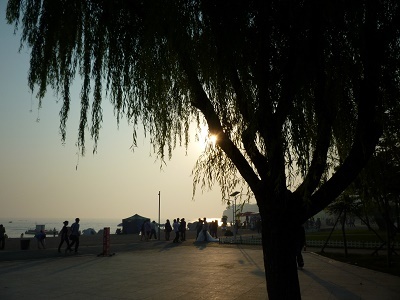 Now that you've got your Dalian basics down enjoy Dalian's Oriental living in an industrialised setting! Situated on the northern point of the Liaodong Peninsula is a city famed for its cleanliness, vast recreational parks and luscious green hills. Dalian is one of the leading tourists and expats destinations in China not just because of its undeniable beauty but also due to its stable and growing economy. This city plays a significant role as the largest international logistics and shipping centre in North Asia making it one of the most highly developed industrial areas in the country. 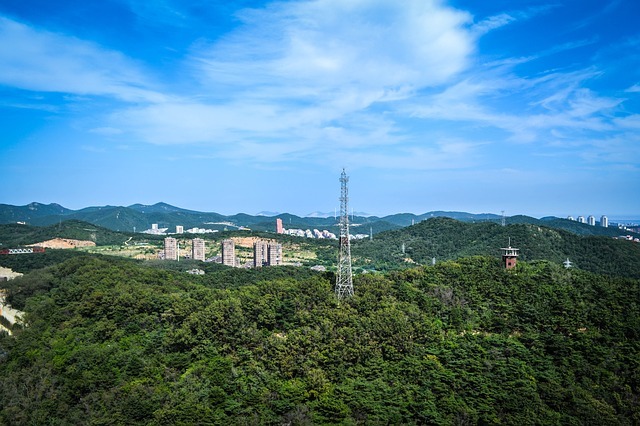 Dalian may look like a simple city because of its natural scenes, but you will marvel at its urbanisation and modernised lifestyle once you get settled. Here are a few but helpful tips that can make your relocation a success. You can find websites that post real estate properties in Dalian including their photos, location and prices. It will be helpful for you to browse through these online portals a few weeks before you arrive so you’ll have an idea about the prices in the rental market. If you are not fluent in speaking Mandarin, it's best that you contact local English speaking realtors to help you communicate with the landlords. They are also very familiar with the neighbourhoods and have many options in the housing market. Most of the time, utilities are not covered in the rental pay, but some serviced apartments do. The average monthly cost of your essential services like water, electricity and gas is €85. An unlimited internet connection is around €15 per month while local mobile prepaid calls are charged at €0.06 per minute. 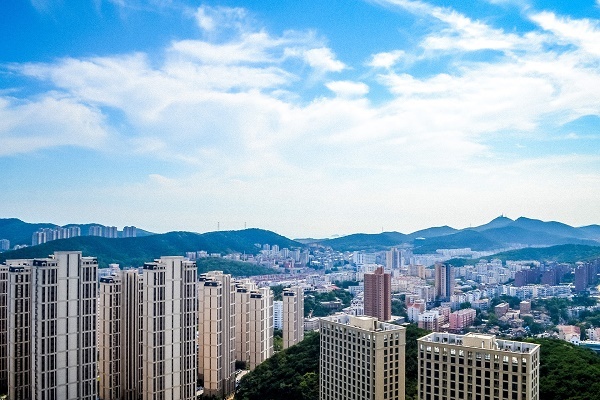 Several things that you should consider when looking for a house/apartment in Dalian is the property’s proximity to amenities, schools and work offices. The neighbourhoods in the city have great architectures and outdoor spaces making the locations highly likeable for you and your family. Most expats who are looking for a short-term stay are renting while those who plan to stay for an extended period opt to buy a property. You can find a one bedroom apartment in the city centre for around €450 per month and a three bedroom unit for roughly €820 monthly. There are also accommodations in neighbouring districts where the price of a one bedroom flat starts at €220 per month €470 for a one bedroom unit. The school year in Dalian typically starts in August and ends in June where most children ride the school bus as their primary mode of transportation. A huge number of expats choose to enrol their kids in international schools like the Dalian American International School where they use English or bilingual in teaching. There are also local schools in the city that provide world-class education like the Liaoning Normal University where the campus prides itself on having state of the art facilities and friendly teachers. Many international shipping and removal companies offer door to door services to Dalian. You can seek their help to assist you in the whole moving process since they have a broad and long-time experience in this business. They will pick up the boxes from your address and ensure its efficient delivery to your new home. It generally takes a month for the containers to arrive in the Port of Dalian but this will still vary depending on your country of origin. Customs officials will conduct an inspection of the cargos before they get delivered to you. To know more about the city’s import regulations, click here. Pets going to Dalian are not required to have a microchip as a form of identification, but they should have the original Rabies Vaccination Certificate stating that the vaccination was given at a minimum of thirty days and not longer than one year before arrival. They should also have a Veterinary Certificate for China stamped and endorsed by the government from your home country. Also, you need to present your passport matching the owner’s name stated on your pet’s certificates. Keep in mind that there is a 7-30 days (depending on your country of origin) mandatory quarantine period for all animals entering Dalian. Dalian is an incredible country not just because of its geographical makeup and economic status. You will find out soon that this city’s prized possession is the cheerful and accommodating locals who will quickly make you feel like you have always been a part of their vibrant community. Dalian is the second largest city in the Liaoning Province and one of the major destinations in northern China. It is a coastal town blessed with picturesque beaches, favourable weather and vast parks. Dalian houses over six million inhabitants and expats bound to this massive oriental city are about to have an experience of a lifetime. There are two main things to love about Dalian – football and fashion. Widely known as the “Oriental Brazil”, the young city with a 100-year history is home to some of the greatest football leagues in China. Dalian is the seaport for the south of Liaoning Province and is the trade and financial centre for Northeast Asia. Anyone planning to start a life surrounded by marine resources is sure to love their life here in Dalian. Bringing the kids with you on your move to Dalian might be the best decision you will ever make as Dalian is a paradise for everyone. Some of the scenic spots in the city include Bangchuidao Scenic Area, Jinshitan Scenic Area and Tiger Beach Ocean Park. Aside from the many beaches in the city, expat kids are sure to like to pay a visit to the Discoveryland Theme Park for some entertainment. Another major attraction situated in the city centre is the Xinghai Square which is a great place to drink, dine and have fun with the family. There is also the Golden Pebble Beach which is just 50 kilometres (two hours) away from Dalian City. This resort is the perfect destination for expats who love marine sports and swimming activities. A majority of Dalian’s locals have roots in the Shandong Province that’s why its dishes are deeply influenced by the style of Shandong (Lu) which is one of the famous and traditional eight cuisines of China. This city also prides on producing the freshest selection of seafood and some of the must-try are the stir-fried prawns, steamed Sea Bream, steamed scallops and lantern-shaped steamed abalone. Other traditional Dalian dishes are the Men Zi (protein snack), Yan Xu Bing'zi (salted fish and corn pancake), Ban Hai Liangfen (dried then boiled seaweeds mixed with parsley), tea eggs and bean-milk. For expats living in Dalian, driving around the city is only possible for those with Chinese driver’s license. It is also rare to see road signs written in English which is why it would be preferable to hire a car with a Chinese driver when travelling around Dalian. Aside from car rentals, expats may also opt for trains, taxis and buses available all over the city. There are two branches of the Bank of China in Dalian. Both of these branches are found in the Zhongshan Square. Exchanging money can also be made at the Dalian Zhoushuizi International Airport and in most of the hotels in the downtown Dalian. Dealing with banks in the city requires patience for expatriates as most processes in China are bureaucratic, falling in line for simply opening a new bank account could take more than an hour. Also, conversing with the locals could be tough so it is preferable to hire a Chinese to work with you while processing your bank papers. The biggest hurdle most foreigners living in Dalian would go through is the difficulty to learn the Chinese language (Mandarin). Road signs and most of the people you may interact with are speaking the local language. To overcome culture shock, one may try out an opportunity as an English teacher to Chinese citizens. Foreigners may also alleviate stress by relaxing on the beaches such as the Xinghai Beach, Fujiazhuang Beach and Bangchuidao Beach. Others also find time to learn more about the Dalian culture through visiting theatres and watching concerts.